About Us | Nebraska Agri-Business Association, Inc.
Operating a farm takes more than guesswork. 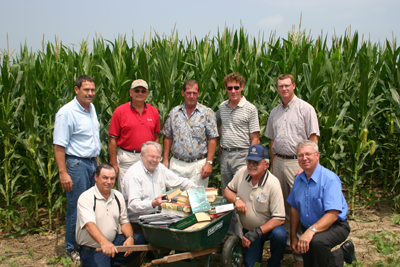 It takes Sound Advice that only a Certified Crop Adviser (CCA) can provide. 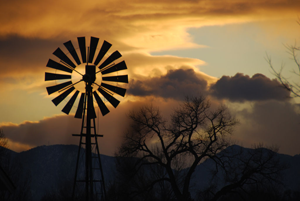 Your farm is much more than a business – it’s your way of life. When it comes to putting your pest interest first, a CCA’s professional commitment and knowledge is the perfect beginning. Working with a CCA means having an unbiased expert on your side – someone who can understand your needs, your problems and can come up with the right solution for your business. CCAs are required to have years of experience working in specific geographical areas. This means your CCA understands why the challenges you face every day are different from the ones someone across the country encounters. Have grower references plus either four years of documented post-high school crop advising or two years of documented advising experience with a Bachelor of Science degree. Pass two rigorous comprehensive exams covering nutrient management, soil and water management, integrated pest management and crop management. Earn 40 hours of continuing education every two years. CCAs always have access to University and industry experts and the latest information on new technology and industry developments. Are you looking for a local agronomy, crop, and soils expert? Someone who has been certified as having knowledge and experience? 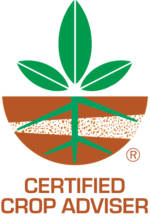 Then you need a certified professional from one of the certification programs of the American Society of Agronomy and Soil Science Society of America. Just click here to start your search! 1. Your job opportunities and potential for earnings and advancement will increase – especially as environmental regulations create a greater demand for CCAs. 2. You will be proud knowing that furthering your skills and continuing your education will have a positive effect on the future of our environment. 3. You will be acknowledged by employers and clientele as a credible and competent adviser and partner. 4. You will be viewed as the superior candidate, over other professionals, to advise growers and ranchers on cropping system practices. * Field agronomists working in public, private and commercial sectors. * Consultants and farm managers. * Natural resource conservation personnel. * Educators and extension specialists. * Government and academic scientists and agronomy researchers. Anyone who is employed, or desires to be employed, by one of the increasing number of companies that require CCA certification. 1. Pass both the International and Nebraska Exams. 2. Hold a B.S. degree in agronomy, with two years of crop advising experience, or have four years of post-high school crop advising experience. 3. Complete the ICCA Credential Packet within six months of passing both exams. 4. Sign and agree to uphold the CCA Code of Ethics. 5. The Nebraska CCA Board will review your credential packet. 6. Once you have been granted certification from the Nebraska CCA Board, you will receive a certificate for framing and a wallet card. In order to maintain your certification, you will need to pay an annual maintenance fee and earn 40 hours of Continuing Education Units (CEUs) every two years. 7. You may start receiving your CEUs from the date on your CCA certificate. Any meetings/course hours held before your certification date will not count towards your CCA requirements. How do I find out if I passed the exams? Exam scores are mailed six weeks after the exam date. For more information on exams, see ICCA’s exam frequently asked questions. What is in the ICCA Credential Packet? The Credential Packet contains an Application for Verification of Credentials form, a Code of Ethics to sign, a Crop Advising Experience Form, two Reference forms, a Summary of College Course Work form, a Short Course Work form, and directions to fill out the forms. How do I determine my crop advising experience credentials? The crop advising experience needed to become a CCA varies from two to four years, based on the educational level of the applicant. In general, the amount of crop advising experience required is either two years with a BS degree in an agricultural related field, three years with an associate degree in an agricultural related field, or four years for an unrelated degree or no degree. * Advising farmers on crop production. * Teaching or educating crop advisers about topics that are described in the Performance Objectives. * Advising or working with farmers to install soil conservation practices, or to meet state or federal regulations that are related to crop production (such as conservation compliance). Partial credit might be assigned if you spend less than one-third of your time in the activities mentioned above. If you have farm experience, this experience may count up to one year of CCA work experience regardless of experience duration. For example, a farmer who has farmed for 20 years and a farmer who farmed for one year can both only receive up to one year of CCA experience. When filling out the Crop Advising Experience Form, be sure to provide enough detail to aid the CCA board in determining whether you have the necessary experience. The board may return your application if more information is needed. Resubmit as directed. Who should I use as references for the credential packet? References are very important to the credential review process. To minimize risk of being denied certification, follow the steps outlined below. * Include two completed reference forms (one from your employer and one from a client or individual who is familiar with your work experience in crop production). If you are self employed, provide at least two references from clients. Be sure the two reference letters are signed and witnessed OR notarized. * Have your references recommend you for certification. It is helpful, but not required, if your references give some reasons why you should be considered for certification. * Ask people to serve as your reference who are familiar with your work experience history. How do I register for the International and Nebraska exams? In Nebraska, exams are given once yearly, on the first Friday of February. To register for both the International and Nebraska exams, you must fully complete the exam registration form from the ICCA. Once you have been registered for the exams, the ICCA will send you a confirmation letter. What are the Performance Objectives? The Nebraska Certified Crop Adviser Performance Objectives list the knowledge and skills that are considered important for crop advisers working in Nebraska. Certified crop advisers should be able to apply their knowledge of each of the performance objectives to practical field situations. Individuals taking the Nebraska Certified Crop Adviser’s exam should know the Nebraska Performance Objectives as well as the ICCA National Performance Objectives. Where do I find study materials for the exams? The ICCA site lists several sources of exam study materials. I’ve passed both exams – now what? Once you have passed both exams, ICCA will mail you the complete ICCA credential booklet. You are required to fill out the forms provided within the booklet and return them to CCA, 5585 Guilford Rd., Madison, WI 53711, within 6 months of passing both exams or you will be required to retake both exams. How do I determine my educational experience credentials? If you do not have a degree, you will only need to complete the Crop Advising Experience and Reference forms. You will need to show four years of crop advising experience. If you have an associate degree, and have 15 semester hours of course work in agricultural production (basic soils, fertility, crop production, and farm management), you will need three years of crop advising experience. If you have an associate degree but do not have 15 semester hours of course work in agricultural production, you will need four years of crop advising experience. If you have a BS degree or higher, and have a good science background (course work in biology, chemistry, math, and physical sciences) and course work in production agriculture (soil fertility, crop production, pest management, and farm management), two years of experience is required. If one component is missing (i.e., good science background, but no production agriculture), you will need three years of crop advising experience. If your degree is not related to agriculture in any way, you are required to have four years of advising experience. Supervised summer work experience or internship may be used to substitute for six months of work experience. A maximum of one year of work experience credit can be granted for summer work experience or internship. How long does it take to find if my certification has been denied or granted? You can check your credential status online at anytime after your credential packet has been submitted. The Nebraska CCA Board will review your credential packet and grant or deny your certification. Once certification has been granted, you will receive a certificate for framing and a wallet card. If you are denied certification, you will receive a letter of explanation. In order to maintain your certification you will need to pay an annual maintenance fee to the ICCA office in Madison, Wisconsin and earn 40 hours of Continuing Education Units (CEUs) over a two-year period. You may start receiving your CEUs from the date on your CCA certificate. Any meeting/course hours held before your certification date will not count towards your CCA requirements.